Moving Service is the expert at moving you and your possessions to Chiswick, W4. We can provide the entire relocation service and help reduce your stress. We know that moving is hard work. No move is too much for us and we can handle all or just part of it. 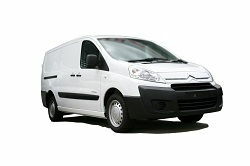 We can supply additional services such as packing materials, a man and van and removal van hire. You don’t have to worry because we can handle everything of your removal issues. We will even remove the rubbish and packing supplies. You can call and arrange a meeting with our advisers to come out and discuss your move and give you an accurate cost. Call our helpful and courteous staff now on 020 8746 4402 and ask for more details. We can book your removal date now, so give us a call. We also offer many removal services including overseas, office and furniture relocation. We are professionals and will provide a proficient service that you will be completely happy with. Our costs are affordable and will appeal to all customers. We can guarantee we will do a first class and prompt service. It is a region of West London and an area of Hounslow and 6 miles outside Central London. Its postcode district is W4. The area is a popular with professional commuters and visitors. It is easy to access West London as it is conveniently positioned to use the M25, M4 and also Heathrow airport. The area is a lovely and peaceful location with wealth residents, large properties and gardens. It is clean and polished and a calm place to live in. It has hotels, trendy bars and international restaurants. The southern part of the area takes up part of the River Thames where recreational rowing and competitions take place. It is famous for notable historic people such as the poet Alexander Pope, the painter Camille Pissarro and the novelist E. M. Forster residing in the area. The area is also famous location for Hogarth house that in the past 18th century was home of English artist William Hogarth. The area was a popular country retreat due to its close proximity to London. It expanded in the late 19th century and became part of greater London in 1965. 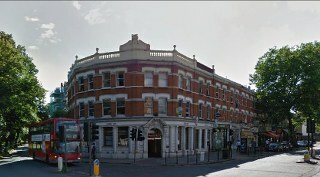 The area has other neighbourhoods such as Bedford Park, Grove Park, the Glebe Estate, and Strand-on-the-Green. Are you moving to Chiswick, W4 and searching for a trusted removals company to shift your possessions? Then ensure you hire Moving Service to receive the best service. Our professionals are able to handle the complete move saving you time and stress. Our costs are affordable and our services are effective. For a successful move, contact us by calling on 020 8746 4402 or email us for more information and tips. If you need a smaller removal firm then our man and van hire is a good choice with the benefit of a driver who will load, transport and unload for you, at a reasonable cost. If you may wish to hire a removal van in Chiswick our company is on hand to help you. We also supply packing services and materials, furniture, office and overseas removals. Moving to another area is a challenge and can be demanding. So, ensure you hire our honest and hardworking removals company when relocating to Chiswick. Keep in mind that you will need to gain parking permission for our removal vehicle when you are moving. Really impressed with the house removal service we experienced. The movers were efficient, punctual and friendly. Our move to W4 is now complete!